For commercial properties, government institutions and hospitals, controlling the flow of traffic in and out of their car parks is vital. At busy times, exits and entrances can become very congested, slowing up the flow of vehicles; however, this can be prevented with the use of a high-quality barrier system based on automation or approved customers will allow a smooth flow of traffic to mitigate this problem and other associated issues. Where only a limited number of spaces are available, controlling entry into car parks is essential as problems can occur if vehicles are allowed to enter whenever they want. With a PAS 68 high-security barrier system, you are in control and can allow in vehicles at certain times while excluding them at others. An integrated control panel makes it easy to control the user-friendly system and the car park security system you select can be adapted to work with other integrated systems. A problem faced by the operators of many of Irelands’s car parks is unauthorised visitors using the car park without paying. If no barrier is visible, these drivers may assume that any empty car parking spaces are available to members of the public. This leads to a situation in which drivers who are authorised to park there arrive to find that there is no space available for them, a problem that is particularly apparent during busy periods. Commercial car park operators, in particular, must ensure that they provide an efficient service to their paying visitors: the installation of car park security barriers is an effective solution to this problem. At Advance Systems, we offer a range of entry and exit security barriers suitable for different applications. Our products are designed for standard spaces and we can also work with our customers to adapt them to the specific requirements of your situation. Automated parking management systems offer the advantages of efficiency and flexibility: integrated into the barrier itself, they offer an optimal customer experience at entry and exit points. The installation of a high-security car park barrier is an effective way of maintaining complete control over the entrances and exits of your complex or property: we offer a range of solutions that are efficient, easy to manage and can be customised to meet our clients’ requirements, allowing the flow of traffic to and from the car park to be monitored and controlled. For example, the AZN automatic barrier is suitable for use in many different settings including multi-storey car parks, hotels, businesses and sports facilities – anywhere that requires control of vehicle movements, traffic regulation, and management of parking fee payments. Optional equipment such as an infra red sensor and wireless control make this an ideal security system for many locations. When you choose a car park security system from Advance Systems, you not only have the option so offering a pleasant, easy parking experience to your customers but also of protecting the parking spaces of your employees and preventing the ingress of any unwanted vehicles into your car parking spaces. The installation of a car park security system is a major investment for any business or establishment but is one that will reap dividends in terms of increased footfall and higher levels of customer satisfaction – hence an increase in returning customers and a growth of your business. 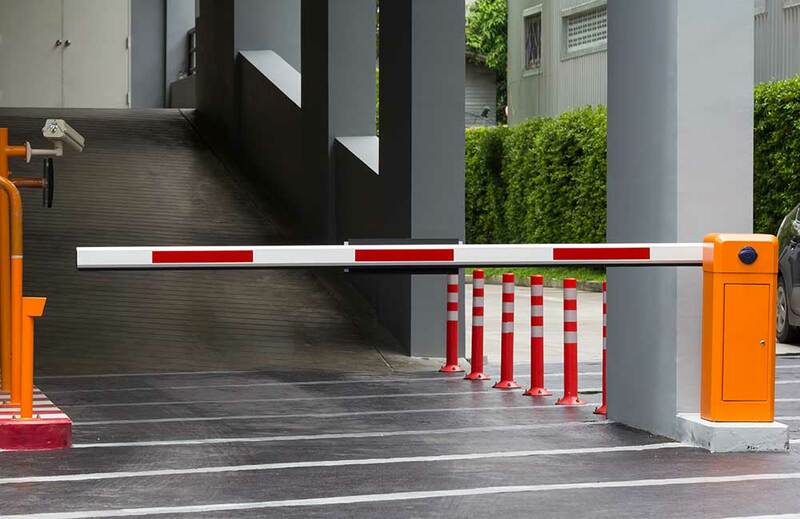 An analysis of the problems currently faced by users of your car park will assist you in the selection of the barrier system that is best suited to your needs. At Advance Systems, our team of experts has a wealth of experience in the design, installation and maintenance of car park security systems in Ireland: contact us today to discover your perfect car park security solution.